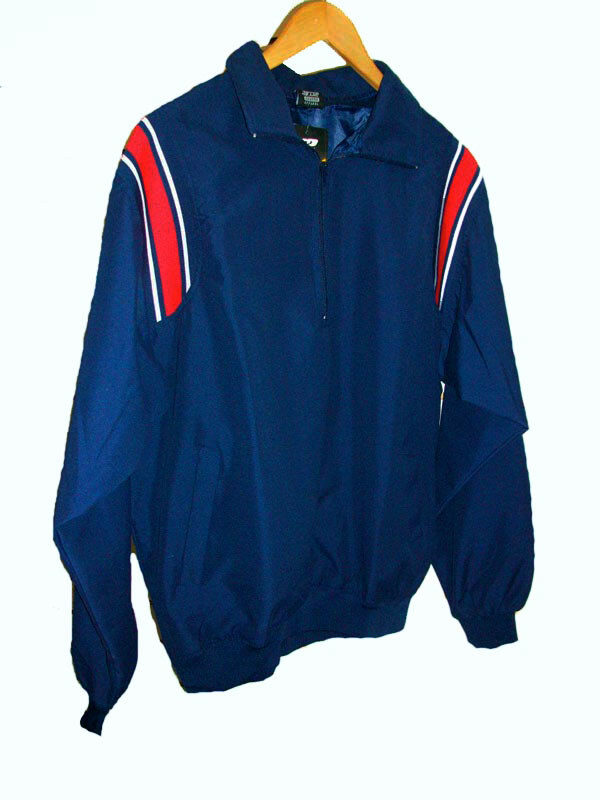 Umpire Half Zip Jacket, foucus on the count not the the weather, this zippered Jacket pullover features a micro-fiber shell and a stand up collar. Nylon linning, Side seam pockets, elastic waistband contrasting rib knit collar over the shoulders. Oversized for layering.